Ameya Prakashan	There are	74 products. Ameya Prakashan / Publication is leading publisher of Marathi Books of various leading authors. Ameya has established a reputation for publishing books which are rich in content, creatively designed, attractively packaged and produced with the latest technology in the field of printing. It has scrupulously avoided publishing controversial or provocative literature for easy business and publicity. Ameya has been honoured by ‘The Limca Book of Records’ for creating a National record in the field of Publishing (for bringing out 22 volumes comprising 8,413 pages on a single day). 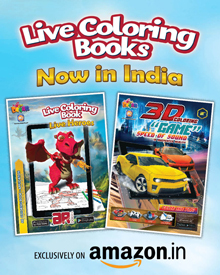 You can now buy Ameya Prakashan's books online.